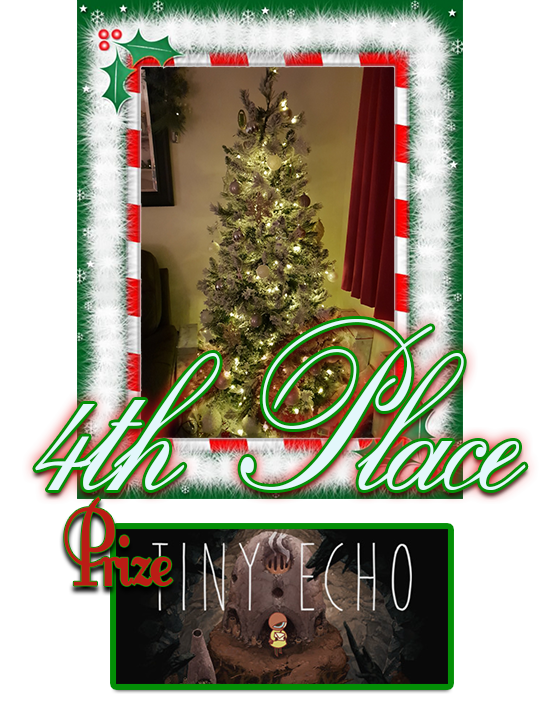 Post a picture of your Christmas Tree or Decorations inside or outside your house and Win fantastic game prizes! 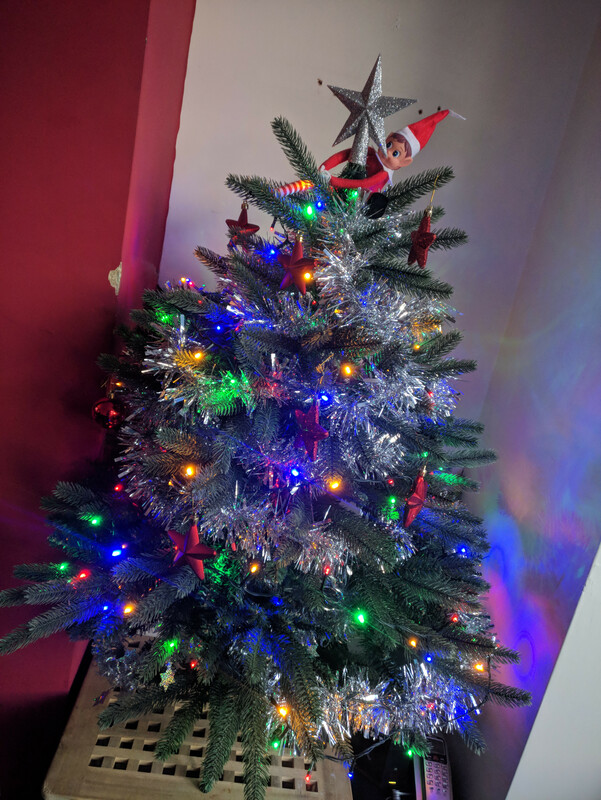 Building up to Christmas, to get everyone in the festive mood, Simply post up your christmas trees that you've put up... or any decorations you have put up around the house or outside... could even be your office desk mini tree at work. Show us your festive spirit and you could win..
- Select "copy image address"
and paste as a response in this thread using the "inset image" button at the top of the reply. Seeing as how I'm the unpaid model for this competition, I figured I'd enter... 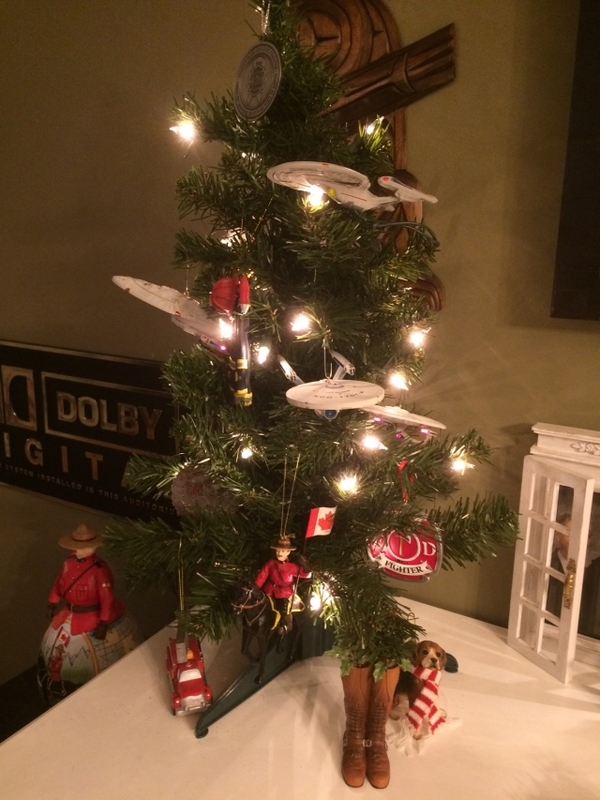 Here are some pics of this year's tree, mini-Star Trek tree and decorations! 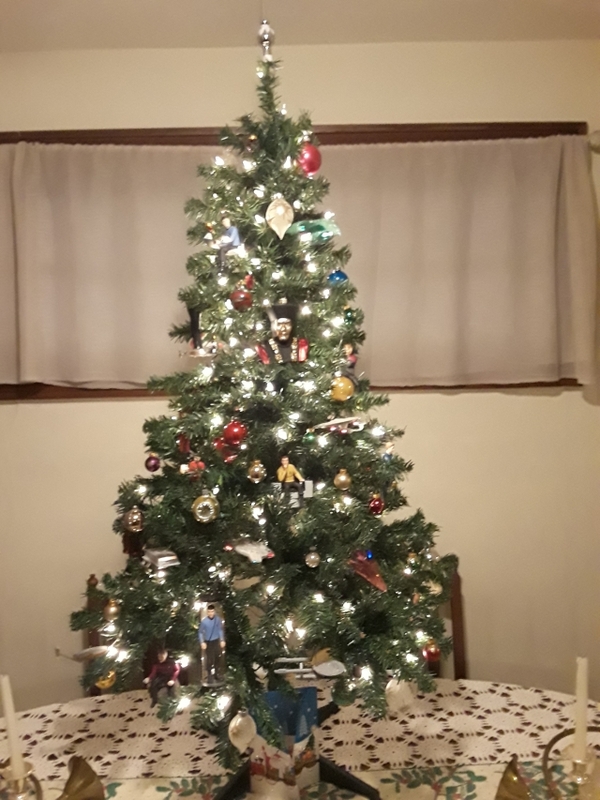 Mine is pretty much an all-out Trekmas Tree. 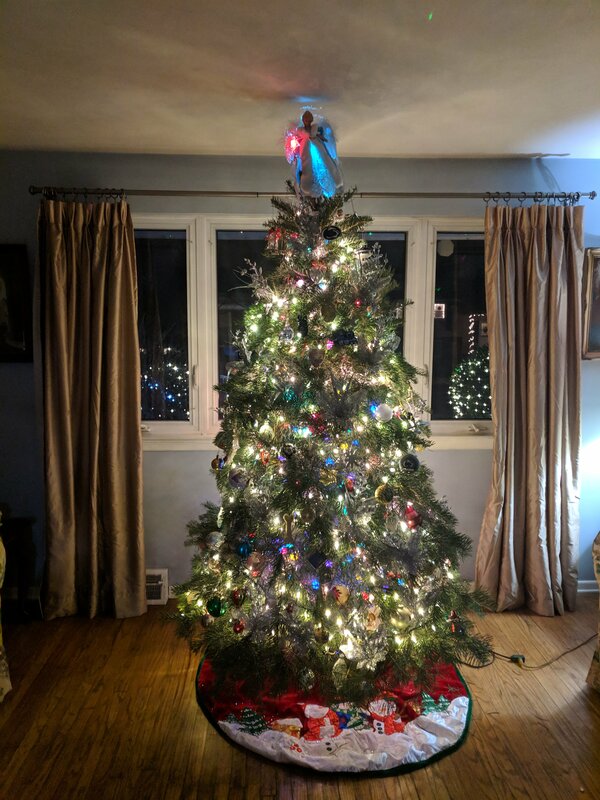 There is a total of 27 Star Trek ornaments on that tree. If you'd like to see other angles to try and pick them all out, check out the photo set. Some very nice trees here! RaeAnn and I do too much traveling in December to properly decorate the house (or to have time to appreciate it if we did), but we work with what we've got. 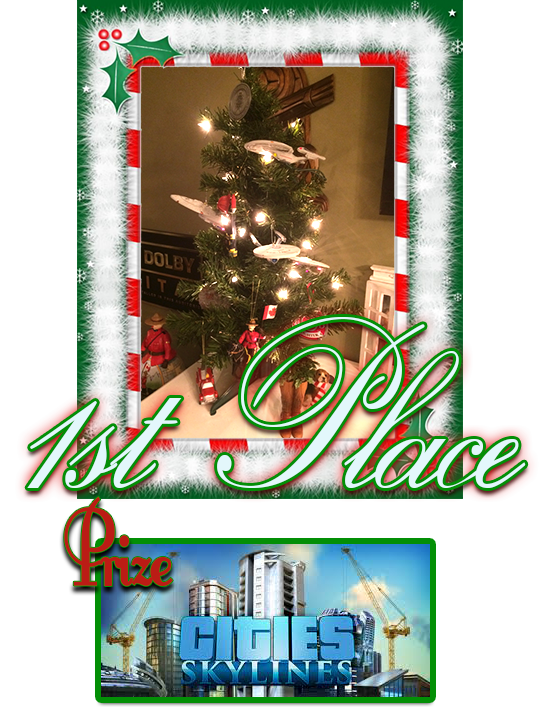 Thank you to all who submitted their Christmas spirit of festive tree design this year. The Judges looked through each one and were taken back by just how pretty and sparkly they all were. 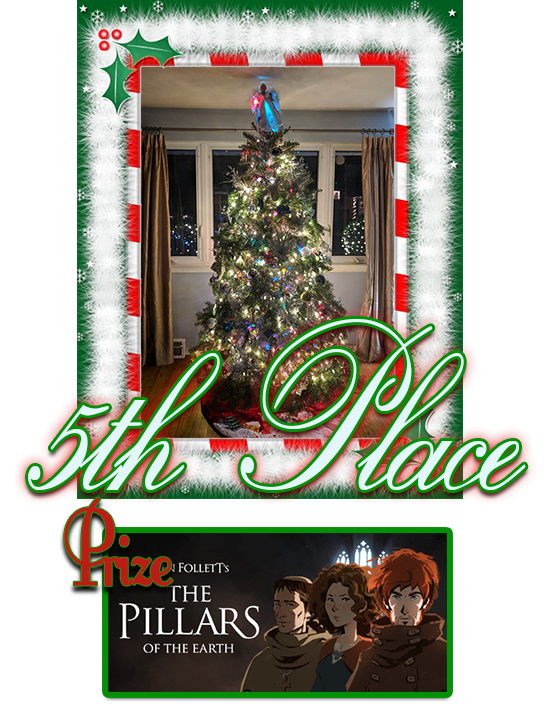 We looked for Sparkle, Personalization, uniqueness, pizzazz to conclude the Top 5 Tree/Decorations. The winners will receive a mail on this site soon after Ive posted this. Volerons Tree demonstrated that you can definitely add your own personality to a tree, We liked that he used ornaments that reflected his RL career as a Policeman, as well as his partner Julians job as a Fire Fighter, He even has a Beagle ornament to represent his pet dog, His hobbies and interests are also reflected in the tree, with star trek ornaments. The perfect Personalized tree ! Teknomancer went with a complete theme, Star Trek, you can tell that he's been saving up these star trek ornaments over the years, and adds a few more each year. 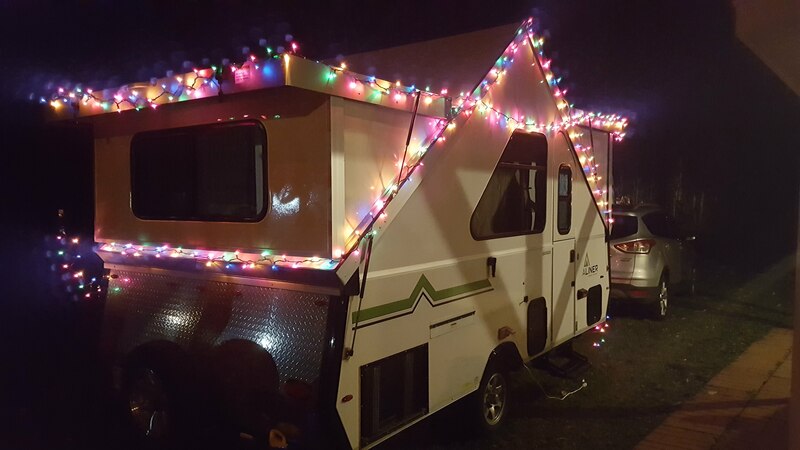 That tells us hes put a lot of thought, effort and money into his festiveness. 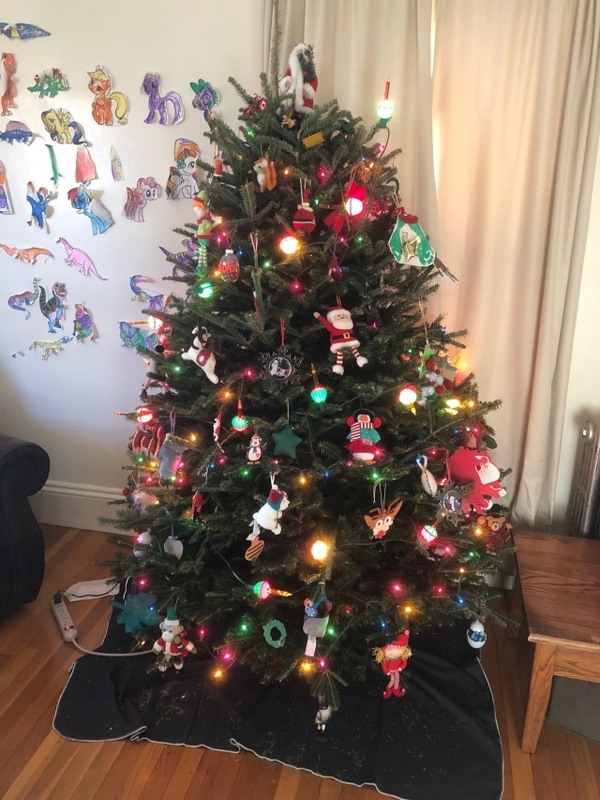 its a tree that's great for collectors to show off what they have, instead of a collectors shelf. 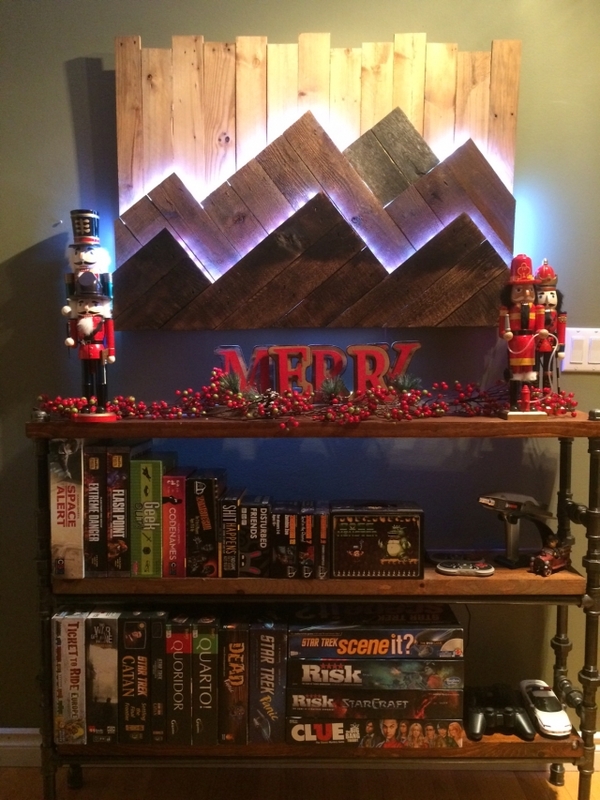 Visit his profile to see more images of the ornaments used. VietHai's tree is the traditional family tree, its cute that the children helped in making this tree come to life, even using their own hand made decorations to give it some pizzazz and something to look at to be proud of and show off to other family members. 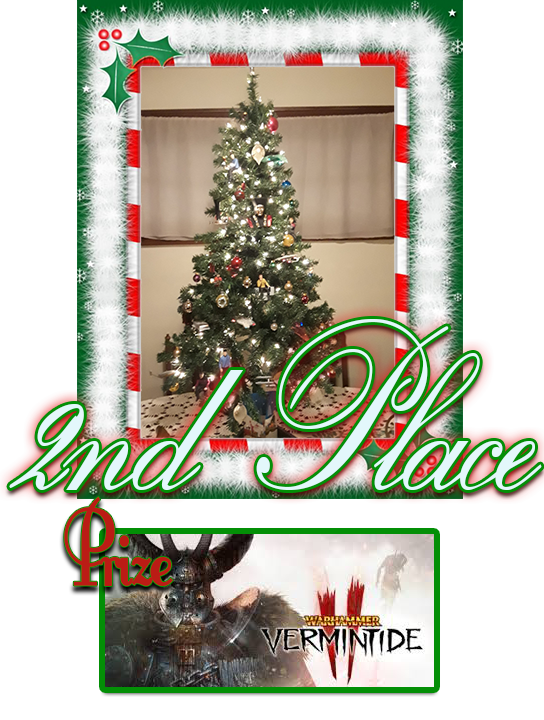 We thought the prize should reflect the family sparkle, so we choose a game all the adults and kids can enjoy! 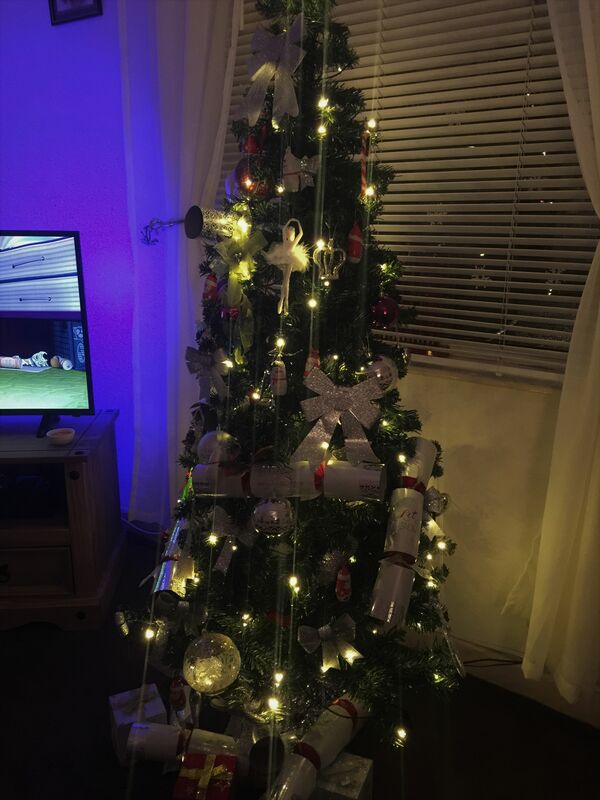 Halish went with the minimal colour look, as to not over do the colour explosion normally found on christmas trees, though keeping the tree busy with lots to look at, it comes across as so very neat and tidy. Even adding frosted snow tips to the branches. A very well made tree for a gentleman on the go! Jims tree was one of the biggest trees that was entered, The placement was where it should be.. right in front of the window for all passers by to see. the use of explosive colours were very festive, with traditional Angel on the top to cap it off. 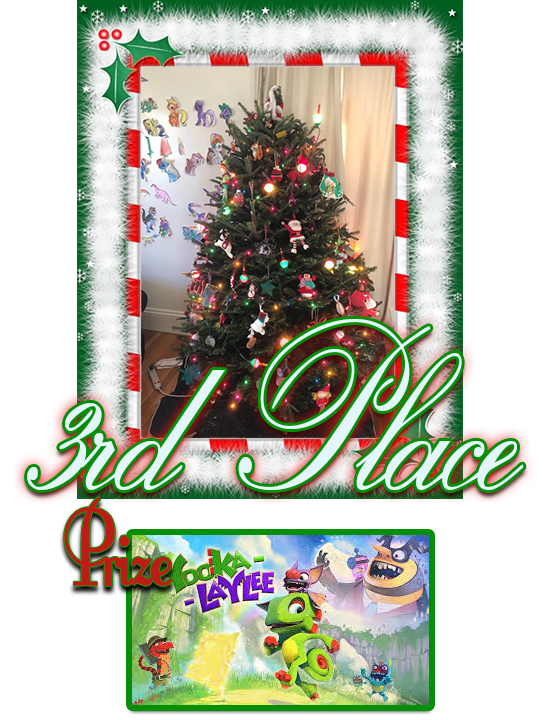 Well done to all the winners of the 2018 Tree Idol competition!